I don't know if happens to everyone or just to those of us who have teens obsessed with all things KPop, but Amazon recently presented me with this Hot Korean Beauty page. 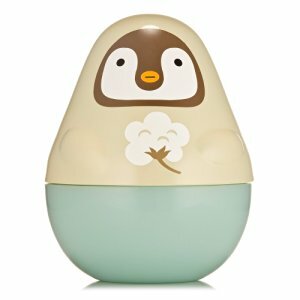 Get your minds out of the gutter now, it is actually a page full of cute Korean make-up and skincare items, like the silly little penguin hand cream jar on the left. (I actually thought it was a hen). If you are already on the prowl for stocking stuffers, there are some ideas right here. In other news, I'm writing a review of a genre-buster - catch it right here tomorrow! Update: Ok, sorry about the bait and switch title. This is probably closer to what you were looking for.